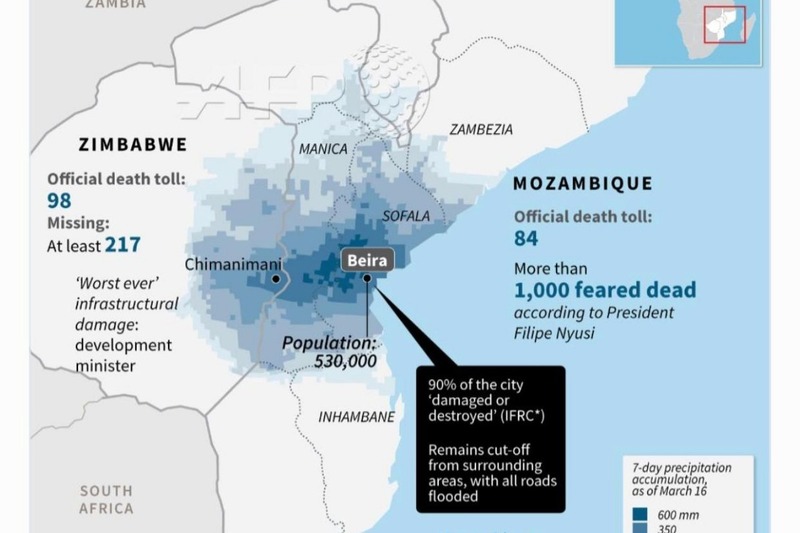 A tropical cyclone has recently passed through Mozambique over the weekend of 15th of March and having most of the affect impact in Beira city and its surroundings districts. Even though there was awareness of the cyclone, the resulting damage of its passing was worse than expected and this has led to several infrastructure failure such as bridges collapsing (so there is no access to Beira city by road), Power grid (no electricity to over 90% of the city), floods (inhabitable space for the families leading them to living out in the open). 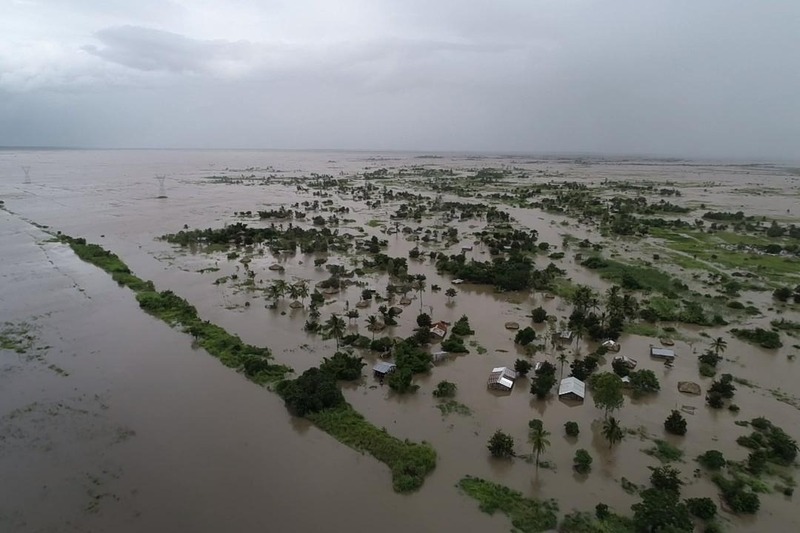 More than 200 people have been confirmed dead, hundreds more are missing and an estimated of 1.5 million people have been affected in Mozambique, Malawi and Zimbabwe. Rescue teams are still evacuating stranded victims in the rural areas. That was just a quick summary of the known damage from this cyclone. As things develop, we can know more of their needs and events and hopefully be ready to give a helping hand. We are a network of people connected to Mozambique (one way or another), currently living in Europe and have created this fundraising link to collect all possible funds from our contacts, friends and family outside of Mozambique (we are based in Denmark and Holland). The funds collected here will be donated to support the active organisations on the ground of this event in Beira and surrounding areas. Considering our location and the complicated logistics behind send physical support we believe financial contributions are the fastest and best way to make the support reach those in need down there. For those located in Mozambique and neighbouring countries and who prefer to donate goods, please contact us as we know lots of organisations doing these collections and ensuring the donations reach the destinations. P.S if you have any questions to the team you are welcome to contact us on whatsapp 0045 28681699. We are ready to answer and questions about the donations, current situation etc!!! We are now closing the donation pool, so that we can get the process starting. Thank you to you all we have managed to collect more than 7 000 Euros!!! This is just amazing and will definatly help many families. Two team members in Mozambique are in dialouge with two NGOs working on ground. Discussing the process, now that we have the final amount. Once that is put in place we will update you with the process! A lot of emergency aid has been provided from many organizations but the disaster is servere and we can all do something. We are doing our part from far and working together. we can all make a difference and help! This was not a choice for them. maybe people woke up having to flee from their homes as water raised above 2 meters in their homes. Some have lost everything. Some areas still have not recieved help or donations and these are the areas we want to reach out to. no editing!!! Just honest words from two of the team members behind this campaign. Felicia and Helena grew up in Mozambique and lived there for over 17 years! Their parents still work and live in Mozambique. They are currently living in Denmark. Do you have any questions please let us know! One of our team member Chantelle Hassen is sending you a message all the way from Brazil. She herself is from Beira, the city on the cost that was affected first on Thursday. We have reached a 3rd of the the target and would like to thank you all very much for Donating! We appriciate the support! !